You’ve probably already seen movies where the bad guy uses a machete to hunt his victims. However, that’s definitely not the extent of how a machete can be used in a life and death situation. 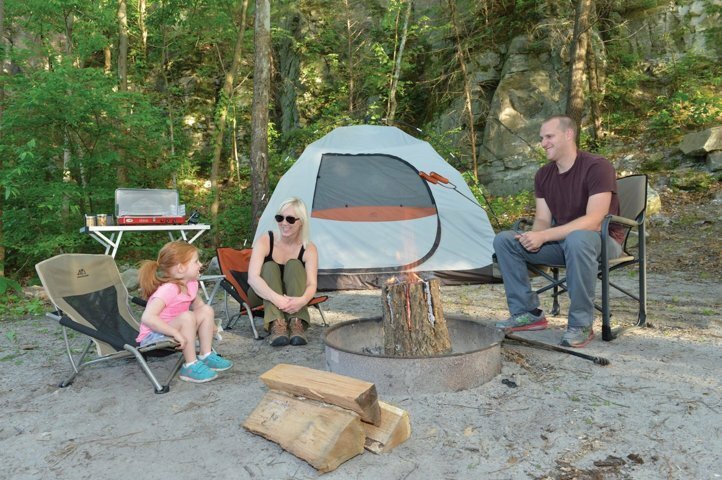 Aside from self-defense, a machete can be a remarkable tool that offers many potential uses, as long as you know how to use the different types of machetes available to purchase. Most people don’t know too much about the hidden advantages of using a machete. 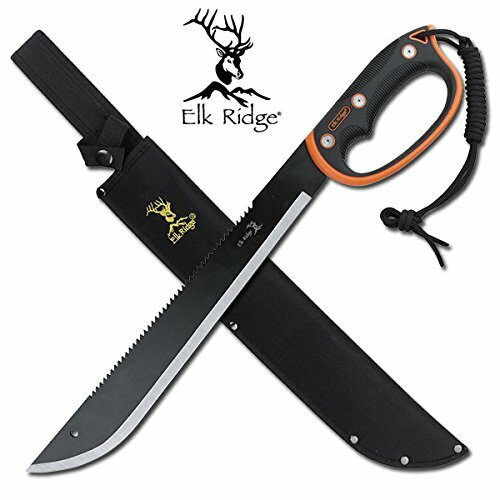 These large knives can come in handy in many cases during situations when our survival depends on how well we cut through vines and plants to make a path through a thick bush. However, they also have other important advantages you have to know about. A machete can be used to cut wood and prepare firewood in remote areas. Also, if you’re looking to defend yourself against wild game, few weapons are as versatile and easy to maneuver as a good machete. Finally, even the reputation of a machete as a weapon can deter assailants from getting too close to you. At the same time, if used correctly, the machete can become a truly deadly self-defense weapon that can cause a lot of damage to attackers who would want to hurt you or your peers. Seeing a machete in a movie is almost always synonymous with seeing footage of the Latin Style machete in action. 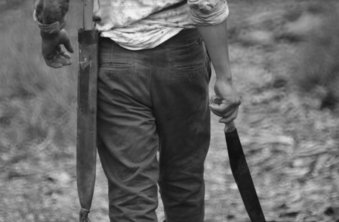 This is the most popular type of machete, and is traditionally used in the US. However, despite its advantages in cutting through thick bush, grass and vines, it’s not very good against wood and it isn’t considered among the very best machete types designed for survival. 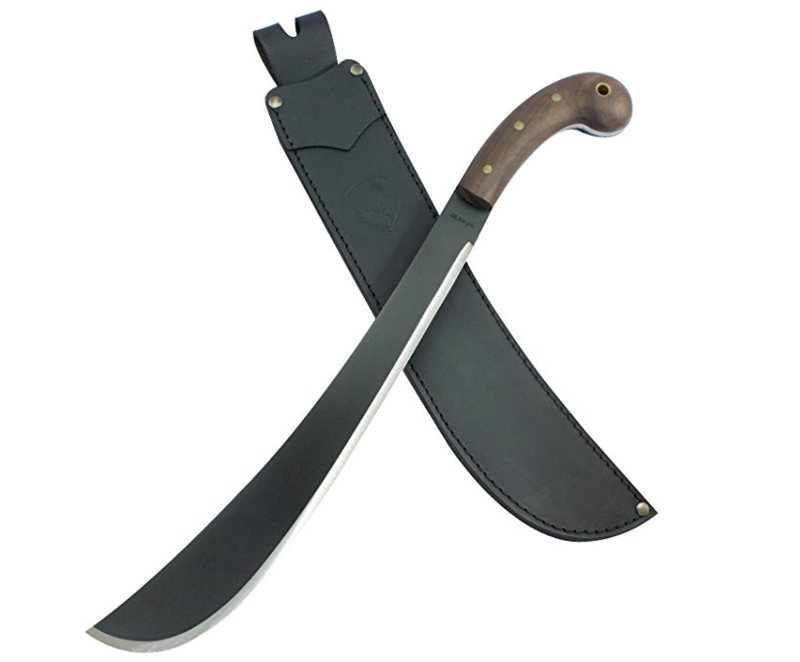 One of the most popular machetes used today is the Kukri machete, a type of tool featuring a unique Nepalese design. The kukri is seen as an all-purpose utility knife in Nepal, and its abilities match its reputation. 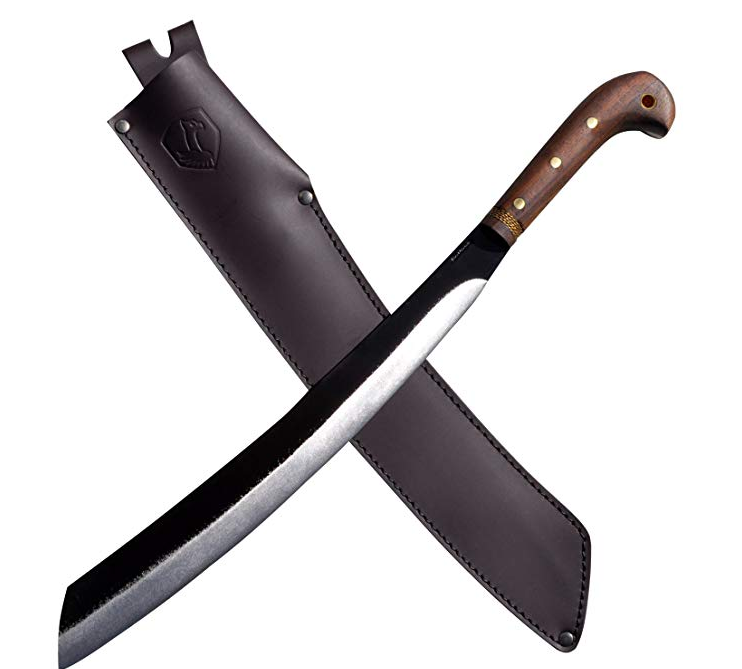 This machete has an extremely sharp point, a versatile, curved edge and excellent balance. It can cut, chop or stab through just about anything. If you’re looking for a definite edge when it comes to brute force chopping, there is no better tool that you can use than the Asian Bolo machete. Similar to the Latin Style machete, this tool can chop through almost anything, despite the fact that it’s not 100% effective. Depending on what you need it for, a machete can be quite versatile and useful. However, it’s very important to have a clear picture of what you want to use it for and to know the specific benefits of the type of machete you’re thinking of buying, before you even start searching for it. Danny Major is a former armored reconnaissance soldier who knows a thing or two about survival , keeping off the radar, and being prepared. 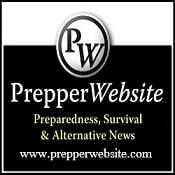 You can read more about how zombies turned him into a bonafide prepper by visiting his site AlphaSurvivalist.